Let me be clear. I’m not referring to a hair transplant, but a head transplant. A disturbing story has been making the media rounds recently. Dr. Sergio Canavero from the Turin Advanced Neuromodulation Group in Italy, suggests that the time is right to attempt the transplantation of a human head onto a different body. Canavero believes that advances in surgical techniques and immunotherapy are such that a transplantation could be attempted by 2017. Interestingly enough, he has already had several people volunteer for a new body. Ethics aside, it certainly doesn’t stretch the imagination to believe Hollywood’s elite would clamor for this treatment. Now, I wonder if some people, liking their own body, would want a new head? 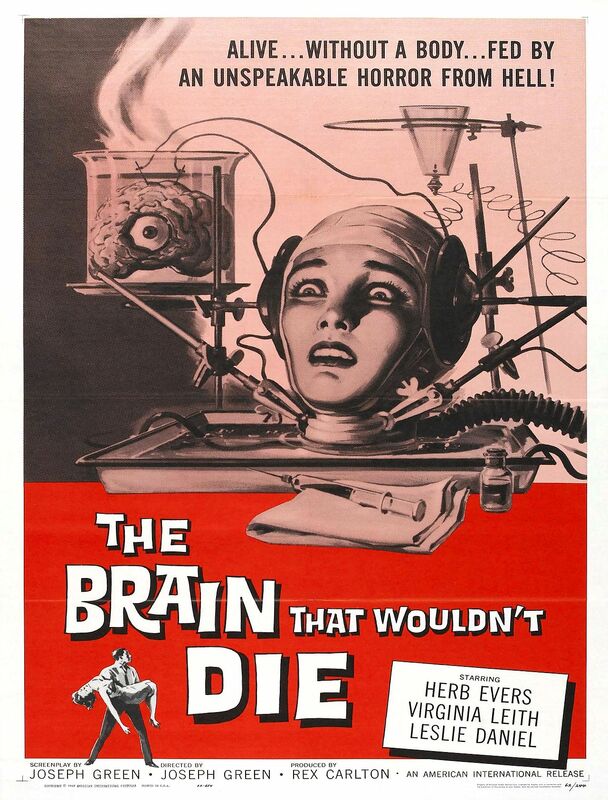 Image: Theatrical poster for the movie The Brain That Wouldn’t Die (1962). Courtesy of Wikipedia. Read the following article once and you could be forgiven for assuming that it’s a fictional screenplay for Hollywood’s next R-rated Halloween flick or perhaps the depraved tale of an associate of Nazi SS officer and physician Josef Mengele. 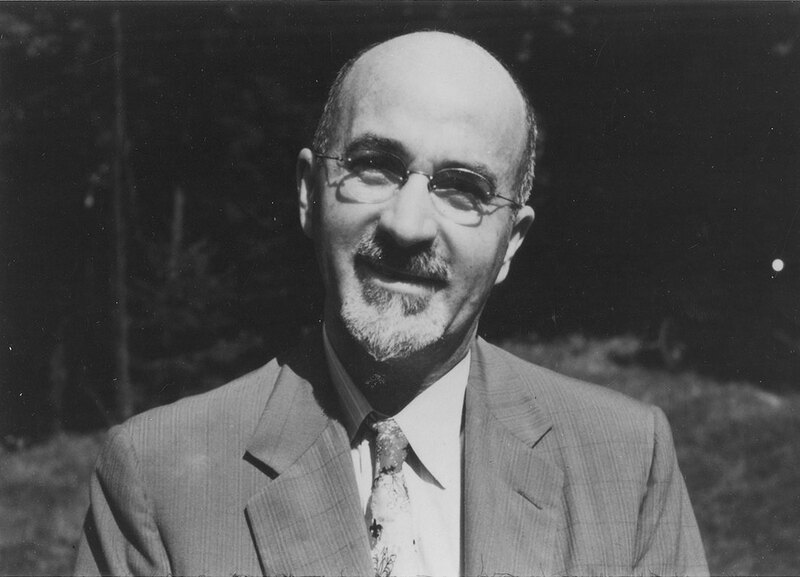 Read the following article twice and you’ll see that the story of neurologist Dr. Walter Freeman is true: the victims — patients — were military veterans numbering in the thousands, and it took place in the United States following WWII. This awful story is all the more incomprehensible by virtue of the cadre of assistants, surgeons, psychiatrists, do-gooders and government bureaucrats who actively aided Freeman or did nothing to stop his foolish, amateurish experiments. Unbelievable! As World War II raged, two Veterans Administration doctors reported witnessing something extraordinary: An eminent neurologist, Walter J. Freeman, and his partner treating a mentally ill patient by cutting open the skull and slicing through neural fibers in the brain. It was an operation Dr. Freeman called a lobotomy. The next day Mr. Hines stamped the memo in purple ink: APPROVED. Over the next dozen or so years, the U.S. government would lobotomize roughly 2,000 American veterans, according to a cache of forgotten VA documents unearthed by The Wall Street Journal, including the memo approved by Mr. Hines. It was a decision made “in accord with our desire to keep abreast of all advances in treatment,” the memo said. The 1943 decision gave birth to an alliance between the VA and lobotomy’s most dogged salesman, Dr. Freeman, a man famous in his day and notorious in retrospect. His prolific—some critics say reckless—use of brain surgery to treat mental illness places him today among the most controversial figures in American medical history. At the VA, Dr. Freeman pushed the frontiers of ethically acceptable medicine. He said VA psychiatrists, untrained in surgery, should be allowed to perform lobotomies by hammering ice-pick-like tools through patients’ eye sockets. And he argued that, while their patients’ skulls were open anyway, VA surgeons should be permitted to remove samples of living brain for research purposes. The documents reveal the degree to which the VA was swayed by his pitch. The Journal this week is reporting the first detailed account of the VA’s psychosurgery program based on records in the National Archives, Dr. Freeman’s own papers at George Washington University, military documents and medical records, as well as interviews with doctors from the era, families of lobotomized vets and one surviving patient, 90-year-old Roman Tritz. The agency’s use of lobotomy tailed off when the first major antipsychotic drug, Thorazine, came on the market in the mid-1950s, and public opinion of Dr. Freeman and his signature surgery pivoted from admiration to horror. In 1948, one senior VA psychiatrist wrote a memo mocking Dr. Freeman for using lobotomies to treat “practically everything from delinquency to a pain in the neck.” Other doctors urged more research before forging ahead with such a dramatic medical intervention. A number objected in particular to the Freeman ice-pick technique. Yet Dr. Freeman’s influence proved decisive. The agency brought Dr. Freeman and his junior partner, neurosurgeon James Watts, aboard as consultants, speakers and inspirations, and its doctors performed lobotomies on veterans at some 50 hospitals from Massachusetts to Oregon. Born in 1895 to a family of Philadelphia doctors, Yale-educated Dr. Freeman was drawn to psychosurgery by his work in the wards of St. Elizabeth’s Hospital, where Washington’s mentally ill, including World War I veterans, were housed but rarely cured. The treatments of the day—psychotherapy, electroshock, high-pressure water sprays and insulin injections to induce temporary comas—wouldn’t successfully cure serious mental illnesses that resulted from physical defects in the brain, Dr. Freeman believed. His suggestion was to sever faulty neural pathways between the prefrontal area and the rest of the brain, channels believed by lobotomy practitioners to promote excessive emotions. It was an approach pioneered by Egas Moniz, a Portuguese physician who in 1935 performed the first lobotomy (then called a leucotomy). Fourteen years later, he was rewarded with the Nobel Prize in medicine. In 1936, Drs. Freeman and Watts performed their first lobotomy, on a 63-year-old woman suffering from depression, anxiety and insomnia. “I knew as soon as I operated on a mental patient and cut into a physically normal brain, I’d be considered radical by some people,” Dr. Watts said in a 1979 interview transcribed in the George Washington University archives. 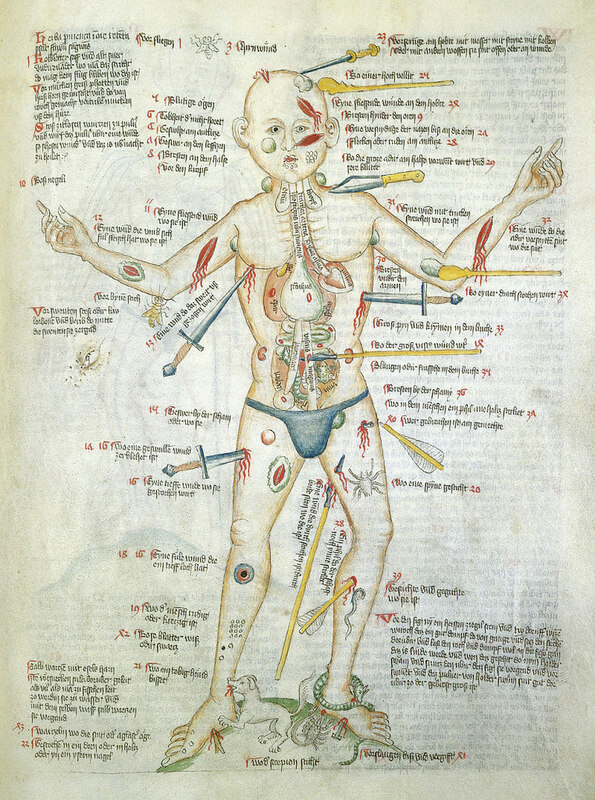 By his own count, Dr. Freeman would eventually participate in 3,500 lobotomies, some, according to records in the university archives, on children as young as four years old. Drs. Freeman and Watts considered about one-third of their operations successes in which the patient was able to lead a “productive life,” Dr. Freeman’s son says. Another third were able to return home but not support themselves. The final third were “failures,” according to Dr. Watts. Other possible side-effects included seizures, incontinence, emotional outbursts and, on occasion, death. The United Kingdom is plotting a visionary strategy that will put its treasured National Health Service (NHS) at the heart of the new revolution in genomics-based medical care. By sequencing the genomes of 100,000 patients and integrating the resulting data into medical care, the U.K. could become the first country to introduce genome sequencing into its mainstream health system. The U.K. government hopes that the investment will improve patient outcomes while also building a genomic medicine industry. But the project will test the practical challenges of integrating and safeguarding genomic data within an expansive health service. Officials breathed life into the ambitious sequencing project in June when they announced the formation of Genomics England, a company set up to execute the £100 million project. The goal is to “transform how the NHS uses genomic medicine,” says the company’s chief scientist, Mark Caulfield. Those changes will take many shapes. First, by providing whole-genome sequencing and analysis for National Health Service patients with rare diseases, Genomics England could help families understand the origin of these conditions and help doctors better treat them. Second, the company will sequence the genomes of cancer patients and their tumors, which could help doctors identify the best drugs to treat the disease. Finally, say leaders of the 100,000 genomes project, the efforts could uncover the basis for bacterial and viral resistance to medicines. “We hope that the legacy at the end of 2017, when we conclude the 100,000 whole-genome sequences, will be a transformed capacity and capability in the NHS to use this data,” says Caulfield. In the last few years, the cost and time required to sequence DNA have plummeted (see “Bases to Bytes”), making the technology more feasible to use as part of clinical care. Governments around the world are investing in large-scale projects to identify the best way to harness genome technology in a medical setting. For example, the Faroe Islands, a sovereign state within the Kingdom of Denmark, is offering sequencing to all of its citizens to understand the basis of genetic diseases prevalent in the isolated population. The U.S. has funded several large grants to study how to best use medical genomic data, and in 2011 it announced an effort to sequence thousands of veterans’ genomes. In 1999, the Chinese government helped establish the Beijing Genomics Institute, which would later become the world’s most prolific genome institute, providing sequences for projects based in China and abroad (see “Inside China’s Genome Factory”). But the U.K. project stands out for the large number of genomes planned and the integration of the data into a national health-care system that serves more than 60 million people. The initial program will focus on rare inherited diseases, cancer, and infectious pathogens. Initially, the greatest potential will be in giving families long-sought-after answers as to why a rare disorder afflicts them or their children, and “in 10 or 20 years, there may be treatments sprung from it,” says Caulfield. To help control costs for the lofty project, and to foster investment in genomic medicine in the U.K., Genomics England will ask commercial providers to set up sequencing centers in England. “Part of this program is to generate wealth, and that means U.K. jobs,” he says. “We want the sequencing providers to invest in the U.K.” The sequencing centers will be ready by 2015, when the project kicks off in earnest. “Then we will be sequencing 30,000 whole-genome sequences a year,” says Caulfield. 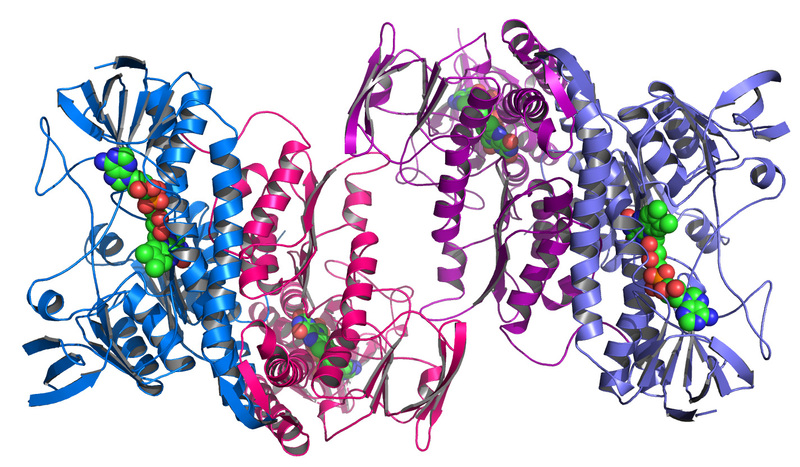 Image: Argonne’s Midwest Center for Structural Genomics deposits 1,000th protein structure. Courtesy of Wikipedia. How does a design aesthetic save lives? It’s simpler than you might think. Take a basic medical syringe, add a twist of color-change technology, borrowed from the design world, and you get a device that can save 1.3 million lives each year. You might not want to hear this, but there’s a good reason to be scared of needles: the most deadly clinical procedure in the world is a simple injection. It is a call to arms that stirred Dr David Swann, reader in design at the University of Huddersfield, into action, to develop what he describes as a “behaviour-changing syringe” that would warn patients when the needle was unsafe – a design that is now in the running for the Index design awards. “There are landfill scavengers searching piles of waste for syringe devices that are then sold on to medical establishments,” says Swann. “We want to break that cycle.” He estimates that after five years, the ABCs will have prevented 700,000 unsafe injections, saved 6.5 million life years and saved $130m in medical costs in India alone. Image: Red for danger — ABCs syringe. Courtesy of David Swann / Guardian. In yet another breakthrough for medical science, researchers have succeeded in growing a prototypical human liver in the lab. Researchers in Japan have used human stem cells to create tiny human livers like those that arise early in fetal life. When the scientists transplanted the rudimentary livers into mice, the little organs grew, made human liver proteins, and metabolized drugs as human livers do. They and others caution that these are early days and this is still very much basic research. The liver buds, as they are called, did not turn into complete livers, and the method would have to be scaled up enormously to make enough replacement liver buds to treat a patient. Even then, the investigators say, they expect to replace only 30 percent of a patient’s liver. What they are making is more like a patch than a full liver. But the promise, in a field that has seen a great deal of dashed hopes, is immense, medical experts said. “This is a major breakthrough of monumental significance,” said Dr. Hillel Tobias, director of transplantation at the New York University School of Medicine. Dr. Tobias is chairman of the American Liver Foundation’s national medical advisory committee. The study was published on Wednesday in the journal Nature. Although human studies are years away, said Dr. Leonard Zon, director of the stem cell research program at Boston Children’s Hospital, this, to his knowledge, is the first time anyone has used human stem cells, created from human skin cells, to make a functioning solid organ, like a liver, as opposed to bone marrow, a jellylike organ. Ever since they discovered how to get human stem cells — first from embryos and now, more often, from skin cells — researchers have dreamed of using the cells for replacement tissues and organs. The stem cells can turn into any type of human cell, and so it seemed logical to simply turn them into liver cells, for example, and add them to livers to fill in dead or damaged areas. But those studies did not succeed. Liver cells did not take up residence in the liver; they did not develop blood supplies or signaling systems. They were not a cure for disease. Other researchers tried making livers or other organs by growing cells on scaffolds. But that did not work well either. Cells would fall off the scaffolds and die, and the result was never a functioning solid organ. Researchers have made specialized human cells in petri dishes, but not three-dimensional structures, like a liver. The investigators, led by Dr. Takanori Takebe of the Yokohama City University Graduate School of Medicine, began with human skin cells, turning them into stem cells. By adding various stimulators and drivers of cell growth, they then turned the stem cells into human liver cells and began trying to make replacement livers. They say they stumbled upon their solution. When they grew the human liver cells in petri dishes along with blood vessel cells from human umbilical cords and human connective tissue, that mix of cells, to their surprise, spontaneously assembled itself into three-dimensional liver buds, resembling the liver at about five or six weeks of gestation in humans. Then the researchers transplanted the liver buds into mice, putting them in two places: on the brain and into the abdomen. The brain site allowed them to watch the buds grow. The investigators covered the hole in each animal’s skull with transparent plastic, giving them a direct view of the developing liver buds. The buds grew and developed blood supplies, attaching themselves to the blood vessels of the mice. The abdominal site allowed them to put more buds in — 12 buds in each of two places in the abdomen, compared with one bud in the brain — which let the investigators ask if the liver buds were functioning like human livers. They were. They made human liver proteins and also metabolized drugs that human livers — but not mouse livers — metabolize. The approach makes sense, said Kenneth Zaret, a professor of cellular and developmental biology at the University of Pennsylvania. His research helped establish that blood and connective tissue cells promote dramatic liver growth early in development and help livers establish their own blood supply. On their own, without those other types of cells, liver cells do not develop or form organs. Image: Diagram of the human liver. Courtesy of Encyclopedia Britannica. The long-term downward trend in the number injuries to young children is no longer. Sadly, urgent care and emergency room doctors are now seeing more children aged 0-14 years with unintentional injuries. While the exact causes are yet to be determined, there is a growing body of anecdotal evidence that points to distraction among patents and supervisors — it’s the texting stupid! The great irony is that should your child suffer an injury while you were using your smartphone, you’ll be able to contact the emergency room much more quickly now — courtesy of the very same smartphone. Nonfatal injuries to children under age five rose 12% between 2007 and 2010, after falling for much of the prior decade, according to the most recent data from the Centers for Disease Control and Prevention, based on emergency-room records. The number of Americans 13 and older who own a smartphone such as an iPhone or BlackBerry has grown from almost 9 million in mid-2007, when Apple introduced its device, to 63 million at the end of 2010 and 114 million in July 2012, according to research firm comScore. It is well established that using a smartphone while driving or even crossing a street increases the risk of accident. More than a dozen pediatricians, emergency-room physicians, academic researchers and police interviewed by The Wall Street Journal say that a similar factor could be at play in injuries to young children. 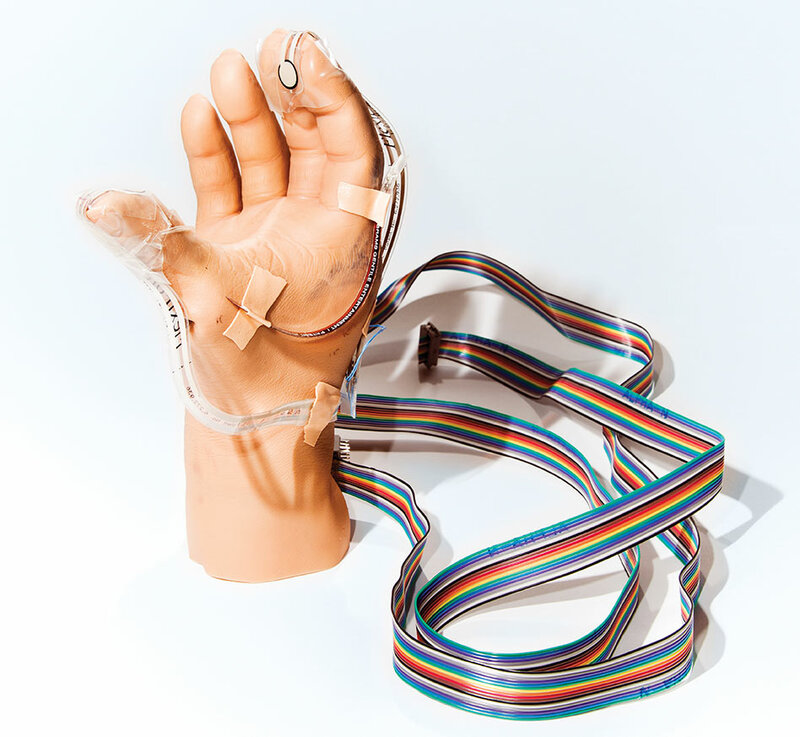 “It’s very well understood within the emergency-medicine community that utilizing devices—hand-held devices—while you are assigned to watch your kids—that resulting injuries could very well be because you are utilizing those tools,” says Dr. Wally Ghurabi, medical director of the emergency center at the Santa Monica-UCLA Medical Center and Orthopaedic Hospital. The United States spends around $2.5 trillion per year on health care. Approximately 14 percent of this is administrative spending. That’s $360 billion, yes, billion with a ‘b’, annually. And, by all accounts a significant proportion of this huge sum is duplicate, redundant, wasteful and unnecessary spending — that’s a lot of paperwork. LAST year I had to have a minor biopsy. Every time I went in for an appointment, I had to fill out a form requiring my name, address, insurance information, emergency contact person, vaccination history, previous surgical history and current medical problems, medications and allergies. I must have done it four times in just three days. Then, after my procedure, I received bills — and, even more annoying, statements of charges that said they weren’t bills — almost daily, from the hospital, the surgeon, the primary care doctor, the insurance company. Imagine that repeated millions of times daily and you have one of the biggest money wasters in our health care system. Administration accounts for roughly 14 percent of what the United States spends on health care, or about $360 billion per year. About half of all administrative costs — $163 billion in 2009 — are borne by Medicare, Medicaid and insurance companies. The other half pays for the legions employed by doctors and hospitals to fill out billing forms, keep records, apply for credentials and perform the myriad other administrative functions associated with health care. The range of expert opinions on how much of this could be saved goes as high as $180 billion, or half of current expenditures. But a more conservative and reasonable estimate comes from David Cutler, an economist at Harvard, who calculates that for the whole system — for insurers as well as doctors and hospitals — electronic billing and credentialing could save $32 billion a year. And United Health comes to a similar estimate, with 20 percent of savings going to the government, 50 percent to physicians and hospitals and 30 percent to insurers. For health care cuts to matter, they have to be above 1 percent of total costs, or $26 billion a year, and this conservative estimate certainly meets that threshold. How do we get to these savings? 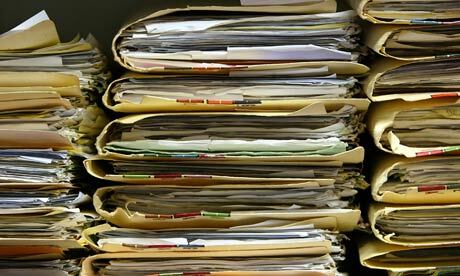 First, electronic health records would eliminate the need to fill out the same forms over and over. An electronic credentialing system shared by all hospitals, insurance companies, Medicare, Medicaid, state licensing boards and other government agencies, like the Drug Enforcement Administration, could reduce much of the paperwork doctors are responsible for that patients never see. Requiring all parties to use electronic health records and an online system for physician credentialing would reduce frustration and save billions. But the real savings is in billing. There are at least six steps in the process: 1) determining a patient’s eligibility for services; 2) obtaining prior authorization for specialist visits, tests and treatments; 3) submitting claims by doctors and hospitals to insurers; 4) verifying whether a claim was received and where in the process it is; 5) adjudicating denials of claims; and 6) receiving payment. Substantial costs arise from the fact that doctors, hospitals and other care providers must bill multiple insurance companies. Instead of having a unified electronic billing system in which a patient could simply swipe an A.T.M.-like card for automatic verification of eligibility, claims processing and payment, we have a complicated system with lots of expensive manual data entry that produces costly mistakes.